Got my latest comic shipment and I saw this new products that Marvel is releasing. 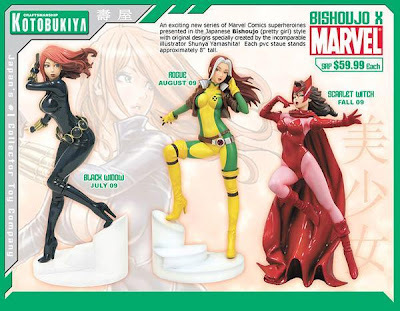 The Marvel Bishoujo Statues. As of this month, Rogue is the latest release while Scarlet Witch is the next in line. I really like how this statues are made specially the design. I think I want to buy them, hahaha. I hope it is available locally.